This entry was posted on December 15, 2008 at 5:31 pm and is filed under Program Highlights. You can follow any responses to this entry through the RSS 2.0 feed. You can leave a response, or trackback from your own site. Thanks very much for voting for the album and making it #1 on this prestigious list. Its a great honor. 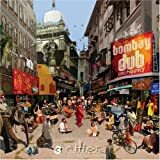 Thanks to all and especially to John Diliberto who has been a great supporter of our music as Bombay Dub Orchestra and with Garry’s previous work.